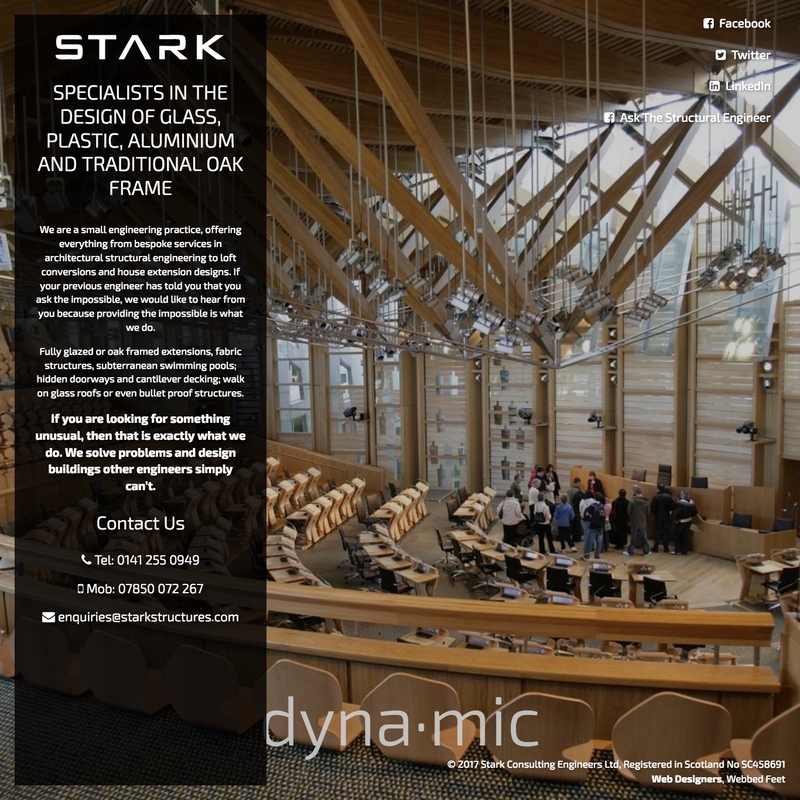 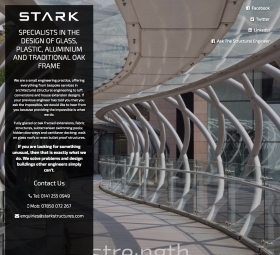 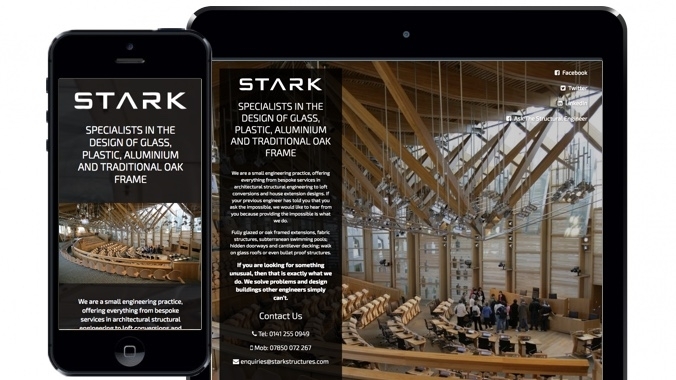 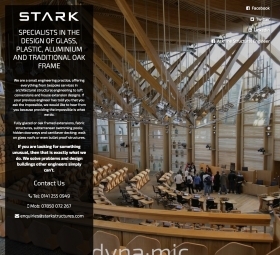 A simple single page website design for Stark Structures designed by Webbed Feet UK. 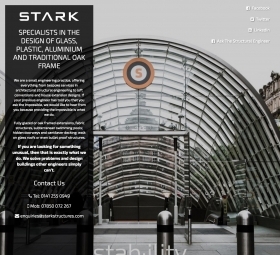 Stark Structures is a relatively new firm that simply required a small website to increase their online presence. 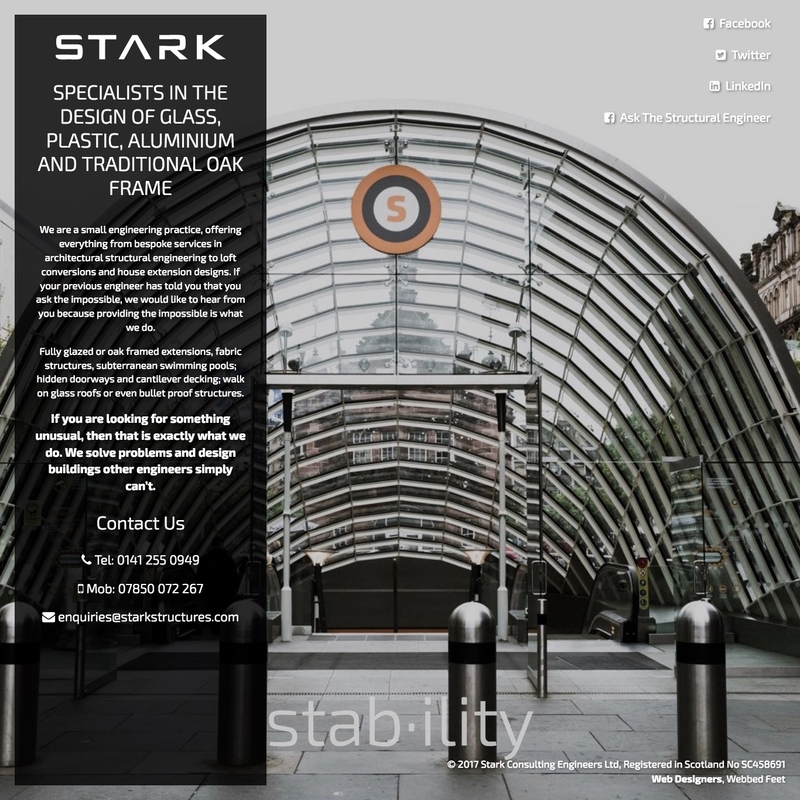 As an engineering firm, Stark naturally have a large range of architectural projects – we chose to base the site around large images of their work that represents what they do and shows off their skills. 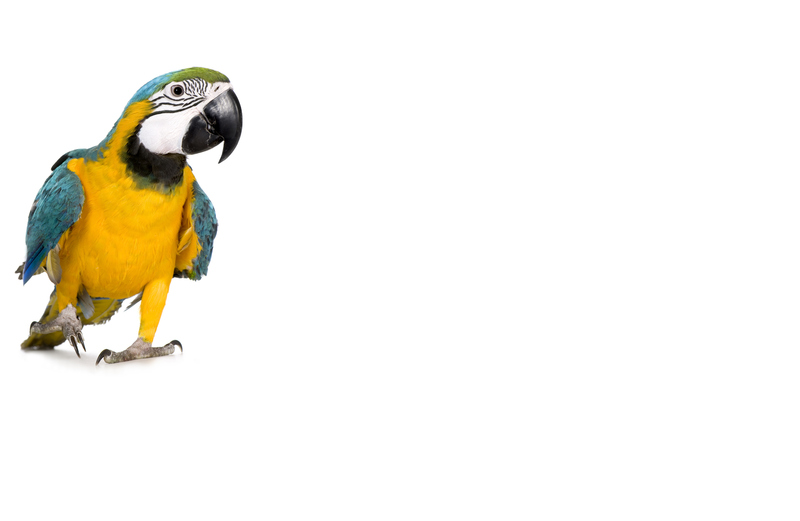 If you are looking for a website for your company contact us today at Webbed Feet. 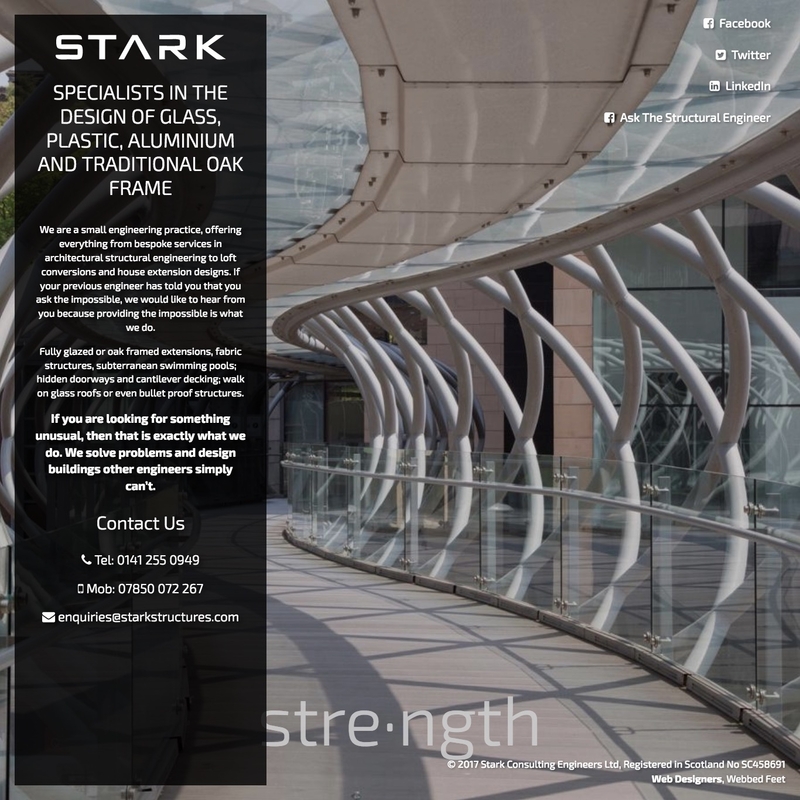 We take on projects large and small.